Swimming pool contractors from Imperial Pools in Decatur Illinois have heard horror stories about swimming pool construction projects that didn’t go as planned. There are also pool owners who had an experience that they didn’t love for any number of reasons. Your swimming pool project is a costly and major investment in both time and money and you need to do your due diligence to assure you’re working with a pool contractor with whom you feel comfortable and who you trust to complete your project to your satisfaction. Not asking enough questions. When you’re working with a swimming pool professional they know you don’t have all of the answers and in some cases you may not know what questions to ask. Because of that, no question should be off limits – it’s a major purchase and you need to know what you’re getting into! Here are no silly questions. There is no one-size-fits-all with swimming pools as each is as unique as the owner who invests in one. 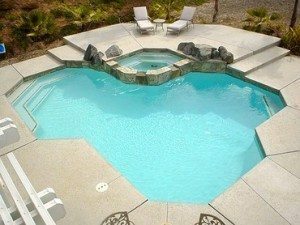 Your pool contractor will need to work closely with you to determine what you want in your pool and under what budget constraints you are working. Gather two or three estimates – you don’t need twenty – then meet with those pool professionals and make a decision. Don’t purchase a pool based solely on price and make certain that the estimates you receive are apples to apples comparisons. Not checking out the references, history of projects and the experience of the pool contractor you’re considering working with. Not reading and understanding the contract you’re signing. You need to read even the fine print. Every part of the project needs to be in writing and you should understand every line of it – if you don’t, ask questions! Focusing all of your efforts, and dollars, on aesthetics and not considering the investment in a potentially higher priced energy efficient pool pump will save you money in the long run. Lacking an understanding of how a deck or other landscaping will amp up the fun you have in your swimming pool. Work with an experienced swimming pool contractor to avoid costly mistakes and assure you get the pool of your dreams.